In the wake of the migration crisis in September, 2015, the European Union (EU) Commission’s had presented comprehensive proposals to relocate more than 160,000 irregular migrants around the its bloc. Yet, so far moved there were fewer than 200 immigrants that have been redistributed from Italy, Greece and Hungary to all other member states (excluding Britain, Ireland and Denmark, who are exempt under EU treaties). In this light, another summit on migration was hosted in Valletta, Malta on the 11-12th November 2015. 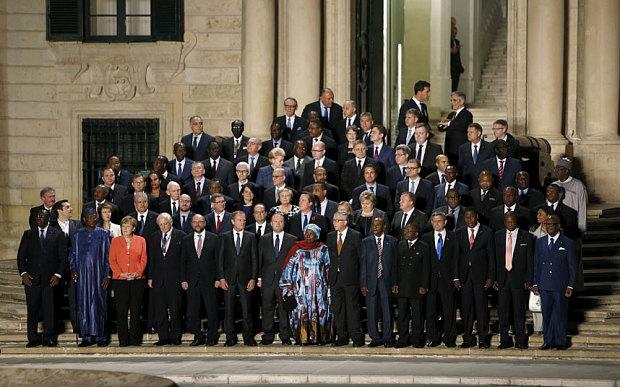 In the Maltese summit, there were more than 60 European and African leaders. The EU has agreed on the establishment of a €1.8bn “trust fund” to tackle the migration crisis. Moreover, the commission has also established an Emergency Trust Fund for Stability to redirect resources toward the root causes of irregular migration and the displacement of persons in Africa. Notwithstanding, it is envisaged that the EU Commission will shortly request some additional €3bn to give to Turkey, to halt the flow of migrants from the east. This budgeted figure is over and above the €4.2bn that the EU has already mobilised to Syrian refugees that are currently hosted in Lebanon, Jordan and Iraq. This week’s summit was yet another attempt to better manage the migration flows and to strengthen the fight against irregular migration. The Valletta summit’s political declaration implied that both Africa and Europe will have to reinforce their existing agreements and obligations under international law on return and readmission. At the same time, both EU and African leaders have reaffirmed their commitment to ensure that the returning migrants ought to be treated with full respect of human rights and dignity. The heads of state declared that they seriously intended to scale up their joint efforts to prevent and fight migrant smuggling. The European and African counterparts agreed to eradicate the trafficking of human beings as they shall be combating those individuals who exploit vulnerable people. The trafficking of human beings (including for the purpose of sexual exploitation and forced labour) is a serious crime. As such, it is considered as an unacceptable infringement of fundamental human rights. In addition, the EU and African leaders sought to strengthen the fight against organised criminal networks, including their links to terrorism; through effective border management, enhanced cooperation and the implementation of legislative and institutional frameworks. Following this summit, the delegates have pledged to step up their support toward the humanitarian dimension. In the main, they maintained that humanitarian protection should be granted to all those who are entitled to it (in accordance with international and regional instruments). • Return, readmission and reintegration.